There are a number of different approaches to resolving a family law dispute outside of the court process, including negotiation, mediation, arbitration, and the collaborative law process. The key to the success of an alternative process to litigation is full and frank disclosure of financial information by all parties at the outset. The withholding of such information will only creates distrust and invite the prospect of costly litigation. Collaborative practice (also referred to as collaborative law) is a dispute resolution process that operates outside the court process. In an interdisciplinary collaborative practice, mental health professionals act as divorce coaches or as child specialists. Similarly, a single set of financial professionals (e.g., accountants, tax specialists and estate planners) can be engaged to assist both of you. This saves considerable time (no back and forth between financial professionals) and money (you are only paying one set of people). Mediation is a dispute resolution process where a neutral third party, the mediator, facilitates a discussion between the parties and assists them to try to negotiate a settlement of the issues in dispute. The mediator is not the decision-maker; the mediator’s role is to assist the parties to negotiate fairly. The mediator will not give legal advice to the parties or act as a lawyer to either party. A four way meeting between the lawyers and parents may also result in a settlement of most if not all family law issues. A process in which parties present evidence, arguments and proposed solutions to a neutral third party (the arbitrator), who has the power to make a binding decision. Needless to say, this process may be more appropriate for property matters, spousal support and child maintenance (child support) issues. However, it is open for parents to make private arrangements for the custody, guardianship and access for a child but such agreements, or arbitration of the same, will not bind a court. Arbitration is used by persons who wish to keep their matters private on religious grounds or other reasons. 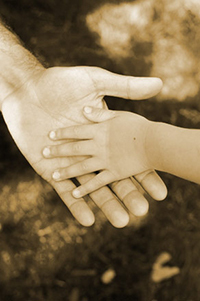 There are a handful of persons who are qualified to act as Parenting Co-ordinators. Generally, Parenting Co-ordinators assist parents set out a regime by which access to a child is established, and may settle some dispute over child maintenance and special expenses.